WHAT: The University of Illinois Springfield Music Program presents its Spring Showcase Concert featuring performances by the UIS Orchestra, UIS Chorus and UIS Band. The performance is free and open to the public. 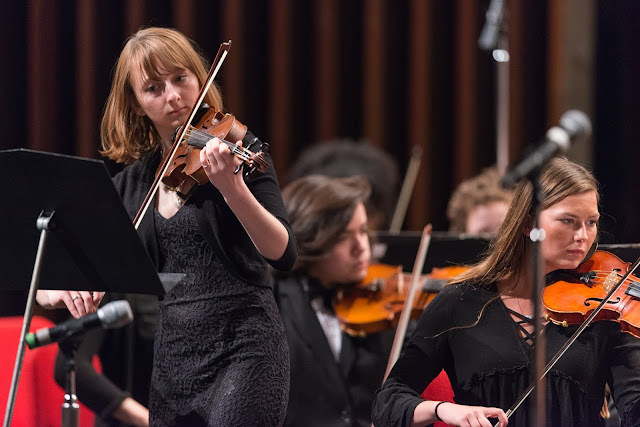 WHERE: Sangamon Auditorium, located in the Public Affairs Center at UIS DETAILS: The event will feature a wide array of music including the Overture to Johann Strauss II’s “Die Fledermaus,” “The Seal Lullaby” by Eric Whitacre and Holst’s “Suite in F” for concert band. This concert will also feature UIS Music Soloist Competition winners Sherri Mitchell (soprano) and Ender Kunz (trombone), who will perform with the orchestra, and Gabrial Cofield who will perform a marimba solo. 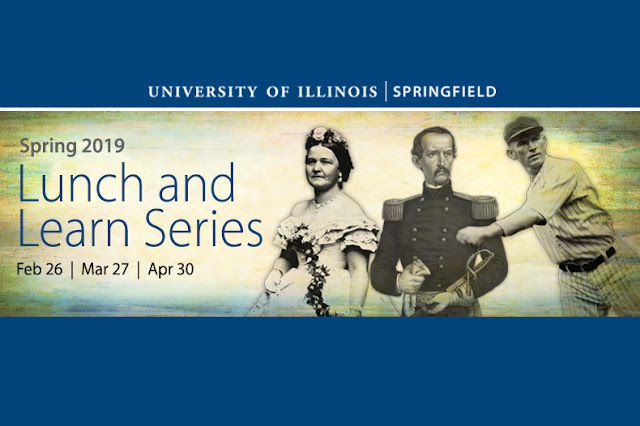 The UIS Orchestra, under the direction of guest conductor Christopher Raymond, will lead the program with music from Strauss, David, Donizetti and Brahms. Two of the works that will be performed serve as preview for the highly anticipated “World of Dance” concert that the group will present on at 3 p.m. on May 5 in Sangamon Auditorium in combination with the UIS Cello Choir and the Springfield Ballet Company. The UIS Band will end the program under the direction of Applied Music Specialist Abigail Walsh. The program will begin with Rossano Galante’s “Whispers from Beyond,” followed by Chance’s “Variations on a Korean Folk Song,” Texidor’s “Amparito Roca” and John Williams’ “Catch Me If You Can” featuring alto saxophone faculty soloist Robert Brooks. Anyone who is interested in joining the UIS chorus, band or orchestra may contact Abigail Walsh at 217/206-7549 or music@uis.edu. UIS Lunch & Learn Series presents "Three-I Baseball & Forgotten Voices of Illinois"
WHAT: The University of Illinois Springfield’s Office of Advancement, Alumni SAGE Society and the Illinois State Historical Society presents “Three-I Baseball & Forgotten Voices of Illinois” as part of the Lunch and Learn Series. DETAILS: Bill Kemp, archivist and librarian at the McLean County Museum of History, will explore the Three-I professional baseball league (Illinois-Indiana-Iowa League) and how it shaped the history of professional sports in the Midwest from 1920-1940. The cost for the hot buffet lunch and program is $23/per person. Reservations are requested, as seating is limited. The registration deadline is one week prior to each event. These lunch-time programs will stimulate thinking as they build upon the University’s tradition of open and intelligent dialogue. Visit https://go.uis.edu/LLspring2019 to register online. For more information, contact the UIS Office of Advancement at 217/206-6058 or email advancement@uis.edu. 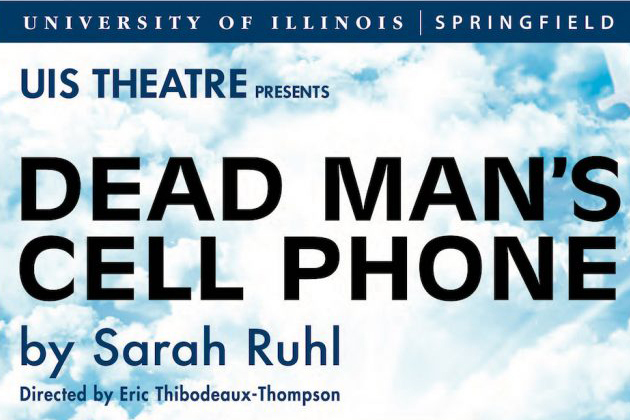 The Theatre Program at the University of Illinois Springfield will present Sarah Ruhl’s “Dead Man’s Cell Phone” opening Friday, April 12. Six performances will be presented in the Studio Theatre, on the lower level of the Public Affairs Center at UIS. All shows will begin at 7:30 p.m., except the Sunday performance (April 14), which will begin at 2 p.m. Show dates include Friday, Saturday, Sunday, April 12, 13, 14 and Thursday, Friday, Saturday, April 18, 19, 20. Eric Thibodeaux-Thompson, UIS associate professor and director of theatre, will direct the production with scenic design by guest artist scenic designer Bobbie Bonebrake. Cast members include UIS students Katie Simpson, Sherri Mitchell, Claire Starling and Kov Magana, along with UIS staff member Mike Krcil and community member Sam Fogleman. The production staff includes UIS students Jeff Nevins, Claire Larson, Denise Gibson, Kim Riddle, Chip Deiss, Alyssa Nino, Jack Hulvey and Jacara Brown. UIS staff members Sabrina Holmes, Jeff Sudduth, Janet Campbell and Nikkie Stefan are also part of the production staff along with community members Cassie Reiterman and Laura Allison Maruna. Ticket prices are $14 for adults; $12 for senior citizens (65 or older with a picture I.D. ); $10 for UIS Faculty/Staff; $8 for UIS students (and all other college-level students) with a valid, current i-card or college I.D. card; and $6 for 17 and under. Please note that service charges are not included in the prices above. The UIS Theatre Box Office is open Tuesday through Friday from 11 a.m. to 4 p.m. in the Visual and Performing Arts Building (VPA 127). Patrons may call the UIS Theatre Box Office at 217/206-PLAY (7529) or visit www.uis.edu/theatre to purchase tickets online or learn more information. The University of Illinois Springfield Visual Arts Program will present multiple exhibits featuring the work of its alumni and current students. All exhibits will open on Thursday, April 18, and run through Thursday, May 9, 2019. 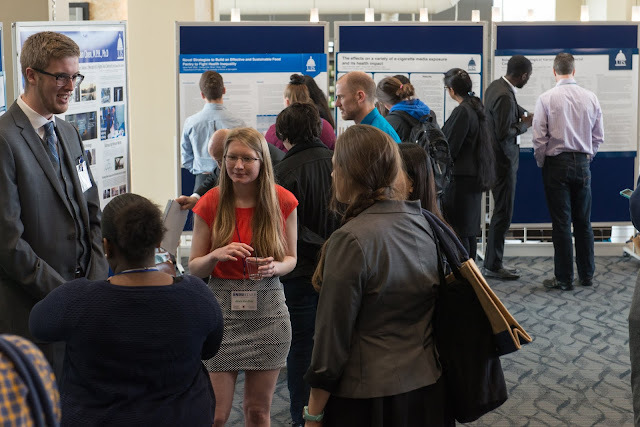 A reception for the alumni and student exhibits will take place simultaneously from 5:30 to 8 p.m. on Thursday, April 25, 2019 in the UIS Visual Arts Gallery and the Access Gallery. A shuttle will provide transportation between the two locations. Both exhibits are free and open to the public. “Perfect Tens” features the work of ten UIS Visual Arts Program alumni, selected from the past ten years of graduates. The artwork will be displayed in the UIS Visual Arts Gallery, located in the Health and Science Building, Room 201. Gallery hours are 11 a.m. to 6 p.m. Monday through Thursday. A perfect ten indicates a high score, or perfected condition. Visual Arts Program exhibiting alumni in “Perfect Tens” are artists that have continued their trajectory in visual arts and demonstrate notable skill, growth and sophistication in their work. The UIS Visual Arts Program faculty have selected and invited these ten exhibiting artists, as a reflection of the Visual Arts Program and to celebrate the accomplishments of our graduates. “Perfect Tens” will feature a range of media that will include painting, video, sculpture and ceramics, among others. Exhibiting artists include Brad Balster (2012), Christina Hanula (2017), Judah Johnson (2011), Skan Jolly (2012), Grace Katalinich (2017), Allan J. Masterson (2013), Abigail McKinnie (2018), Tyler Phibbs (2016), Almendra Rodriguez (2017) and Darrin Simmons (2016). Two student exhibits “(un)noticeable” and “Forthcoming” will be presented in the UIS Access Gallery, located in the Visual and Performing Arts Building (VPA). Gallery hours are 9 a.m. to 5 p.m. Monday through Friday. “(un)noticeable” features work by UIS Visual Arts graduating senior Tyrone Burnett. The exhibit explores the idea of a man who notices the things that are not seen. The exhibit will feature ceramic sculptures that give form to humans as emotions, stereotypes and experiences. Burnett uses symbols to represent both good and bad emotions that humans cannot see or understand, dealing with the idea of fearing what you can become. Held in conjunction, “Forthcoming”, curated by Tyrone Burnett, will feature work by UIS students Cameron Seibert, Zoey Pritchett, Cheyenne Drink and Hasani Cannon. This exhibit will feature ceramics, painting, drawing and mixed media. For more information on the multiple exhibits, contact the UIS Visual Arts Program at 217/206-6240 or art@uis.edu. 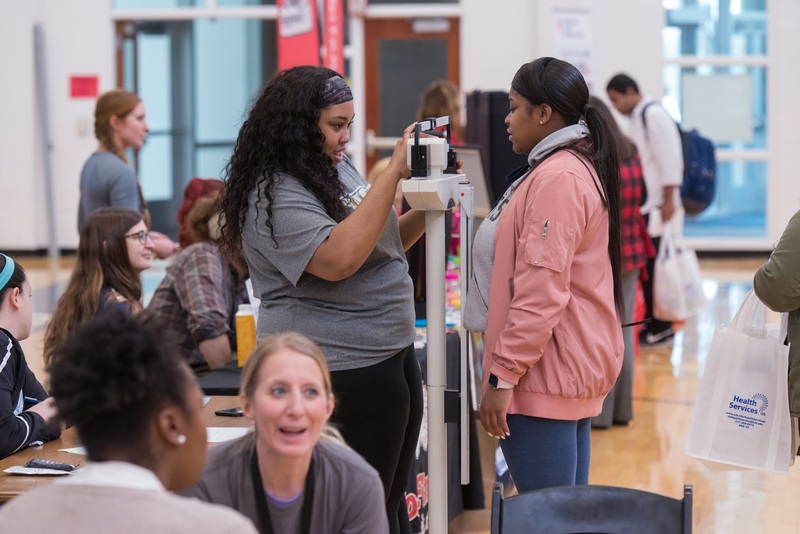 WHAT: University of Illinois Springfield Campus Recreation and Health Services presents the annual Health & Wellness Fair. The event will offer health screenings, information and door prizes. The fair is free and open to the public, students, faculty and staff. DETAILS: The Health & Wellness Fair will offer information targeting all aspects of wellness: physical, nutritional, emotional, social, environmental, financial, intellectual, occupational and spiritual. There will be fitness testing, health screenings, free food and giveaways. The Central Illinois Community Blood Center will also be hosting a blood drive from 10 a.m. to 2 p.m. at The Recreation and Athletic Center (TRAC) for those interested in donating or blood typing.